There is something magical about fish and the sea – and movies like Finding Nemo , The Little Mermaid Trilogy , and Disney’s latest movie Ponyo, help bring some of that magic to life. 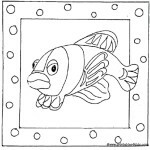 Fans of the movie and the sea will love these cute cartoon-like fish coloring pages! 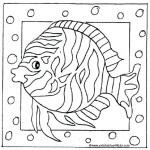 Click on the images below to view and print full size. 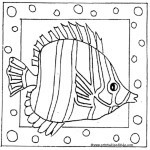 Use these fish coloring pages as fun crafts for an under the sea lesson plan or an ocean themed birthday party. 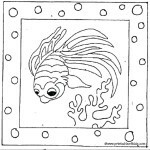 Color each picture then laminate and add a magnet to the back for a unique gift or favor. 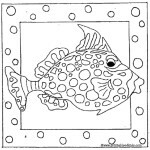 Or print them out on Easy-on Inkjet Transfer Paper and iron on to t-shirts. 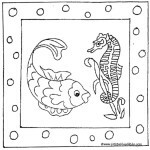 Don’t miss our Mermaid coloring page, Pirate color-by-number, Pirate word search and Under the Sea Ocean Word Scramble.